San Pedro de Atacama is located in the big north of Chile, in the 2nd region, near the border with Bolivia and Argentina. This town is situated in the northern place of the Atacama Salt Flat Basin, which is in the middle of the Andes Mountain Range and Domeyko Mountain Range. This place was the cune of the "Lickanantai" (in Kunza Language) culture or "Atacameños" (in spanish language), and they received some of influence from the Tiwanaco Culture, Incas, Spanish conquers, Bolivians and Chileans. You can reach San Pedro de Atacama coming from Calama, the nearest city with airport, at 100 km distance, by transfer that takes around 90 minutes; as well you can take a bus from Salta, Argentina, in a trip of around 11 hours; or from Uyuni, Bolivia, in a trip of around 10 hours. The house is located at 400 meters from the Buses Terminal, in the southern exit. The house is around 15 minutes walking from the main town, then is a quiet place to stay, without the bustle of the center. 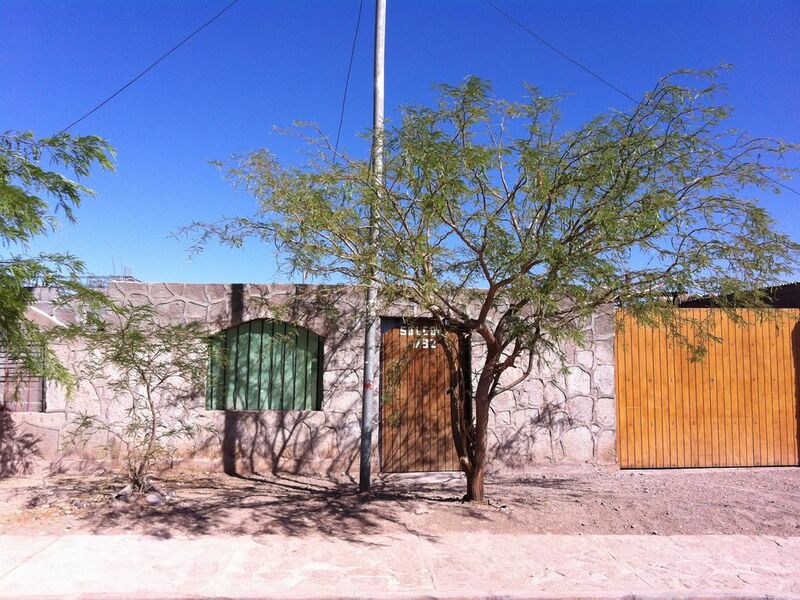 Outside the property, from the street, you get a very nice view to the Andes Mountain Range. The house is just for you and your group, you dont share the inside room. I live in a house beside this one, where I stay with my wife and 2 children. We share the outside room, like the backyard and the entrance to the site. I have two dogs that are good taking care of the place. My wife works in a tourism agency, and I work as an independent Adventure Tourism Guide, offering tours as Mountaneering, Cyclotourism and overland tours, around San Pedro de Atacama and others places in Chile. I can help you with all the tourism services that you need and some advices.